It’s no secret that we been inspired by nature to paint pictures, write music or take amazing photographs, but did you know that many of the everyday items we use or consume have essential ingredients that come from nature itself? And some of these come from plants that can be found in our many parks and gardens. Check them out! Aspirin, one of the most common medications for inflammation and for Saturday morning hangovers, has a key ingredient that comes from the bark of willow trees (Salix spp.). An example is the beautiful Weeping Willow (Salix babylonica), which is said to have medicinal properties with the Chinese using the bark to treat fever and rheumatoid arthritis. In 1897, scientists discovered aspirin, a drug that is made of a variety of chemicals and minerals. This includes the key ingredient, salicylic acid. So the next time you see one of these trees, give it a hug for curing your morning hangovers! 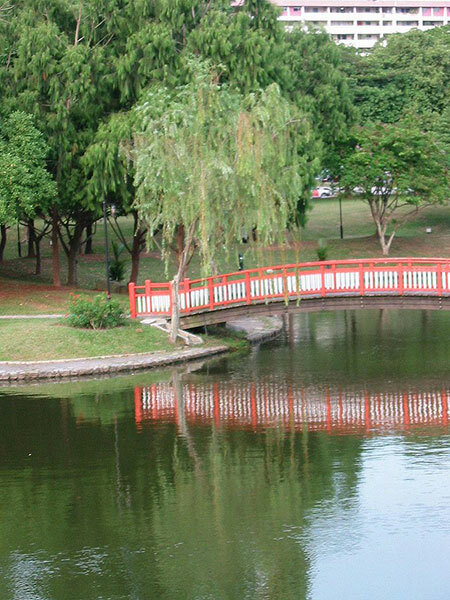 The Weeping Willow can be found around Singapore, particularly by water bodies in our parks like the Singapore Botanic Gardens and Bishan-Ang Mo Kio Park. Have you heard of stevia? It is one of the most common substitutes for sugar. Some studies have shown that stevia has no calories and is some 200 times sweeter than sugar in the same concentration. It is believed that some indigenous tribes in South America have been using its leaves to sweeten bitter medicinal drinks and tea for hundreds of years! Today, food companies use it as a healthier alternative to sugar. When you next pick up a sachet of “sugar free” sweetener for your cup of coffee, chances are that it is made from Stevia (Stevia rebaudiana). This shrub is suitable for herb gardens and containers, growing up to 1 m in height under cultivation. It is to no one’s surprise that the nicest smells come from nature itself. Many perfumes, deodorants and air fresheners contain extracts of different plants. For instance, the crushed stalk of the Lemongrass (Cymbopogon citratus) (top left), which produces a lemony flavour used in a variety of Southeast Asian dishes and soups, is also the source of essential oils that are used in perfumes and aromatherapy products. Eucalyptus trees (top right) are another source of popular scents, which come from oils that are extracted from the leaves. So thank Mother Nature for letting you smell good! Here are just two sources of dyes: the flowers of the Butterfly Pea (Clitoria ternatea) (top left), which can be used to make traditional Malay pastries, and the stems and roots of the Akar Badi (Fibraurea tinctoria) (top right), which are a source of yellow dye. Many natural dyes can be used for colouring different things, from clothes to the hair on your head. They are also used heavily by artists to colour handmade soap and candles. Aah coffee! How many of us can function without a cuppa first thing in the morning? We have been drinking coffee since the 13th century and have pretty much perfected the art of cultivating it. At the Jacob Ballas Children’s Garden in the Singapore Botanic Gardens, you can find cocoa, tea and coffee plants. We use coffee beans for coffee ranging from our everyday kopi peng (iced coffee) to the much fancier Americano to the very expensive kopi luwak (civet coffee). To learn more about these interesting plants and greenery, check out our many Gardening Resources on our website here. 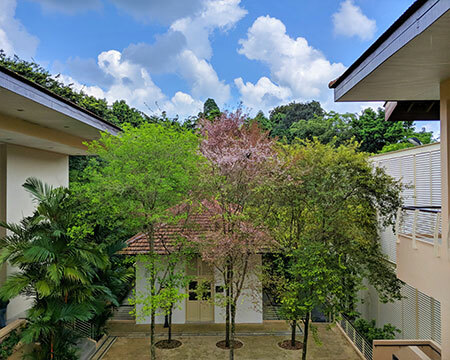 Also, check out our one-stop information portal, NParks Flora&FaunaWeb to find out more about the many plants that grow in Singapore. Leon Chin is a final year Mass Communications student from Republic Polytechnic. He interned at NParks in 2018 as part of his school curriculum, working on projects to inform and educate the young and public about our flora and fauna. This included writing articles and helping to manage outreach activities. A wildlife enthusiast and musician, he also enjoys playing his guitar in the Singapore Botanic Gardens when he is free. Please email wong_yeang_cherng@nparks.gov.sg for more information on our internship programme.